DAVID LE/Staff photo. 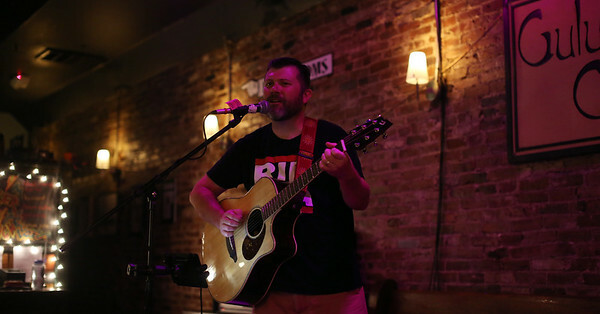 Kevin Farren of Dillon Farren, an acoustic group, plays for a crowd at Gulu-Gulu on Friday evening. Gulu-Gulu Cafe in downtown Salem is one of the hotspots for live music. They have live music most nights of the week, with an open mic night on Wednesdays and live bands Thursday through Sunday. 9/9/16.